Whatever your preferred pace or poison, there's something for every beer lover at Beervana. Traditionally, beer was brewed with only four main ingredients: malt, hops, yeast and water. It was a simple drink with predictable flavours swilled at backyard barbecues. That is, until a craft beer revolution began brewing in New Zealand. Now, from Whangarei to Invercargill, beer is made with stylistic diversity and exciting ingredients such as lemongrass, lychees and brettanomyces. Beer is sipped and savoured, the flavours contemplated like a complex piece of art. The craft beer scene has taken the capital by storm, imbuing Wellingtonians with an ever-expanding appreciation for a finely-made brew. Beervana is both a reflection and expression of this. 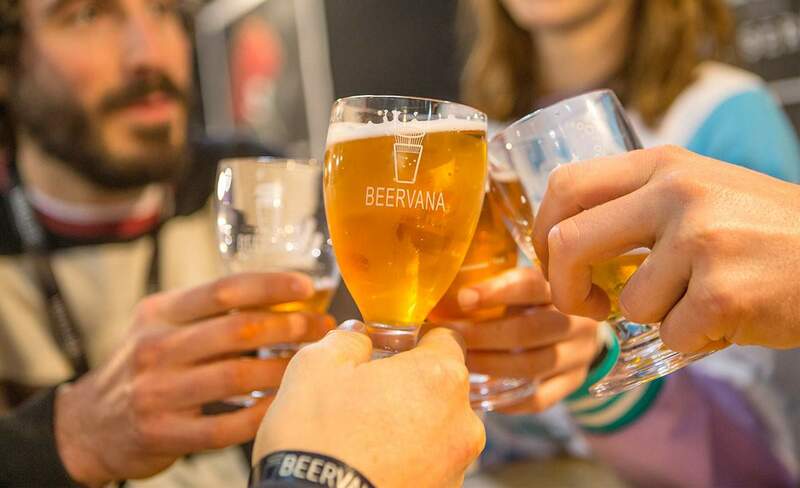 For two suds-filled days at Westpac Stadium, Beervana brings together the country's devout congregation of craft beer enthusiasts to taste, reflect on and explore the myriad frothy creations on offer. Beervana is all about discovery and collaboration — interactive themed bars, innovative collaborations, hundreds of beers from New Zealand's best breweries and a few from international breweries pouring here for the first time. All beer will be served in the official Beervana glass in a 75ml taster ($2-$6) or 250ml serve ($5.50-$8.50). Wash your libations down with finger-licking food, or up the ante with a beer cocktail. Check out the outrageous brewery displays, then head for the beer-matched silent discos. Whatever your preferred pace or poison, there's something for every beer lover at Beervana. This August, reward yourself with a big beer hug. Tickets go on sale mid June.